Nest hasn’t been in the news very much recently. 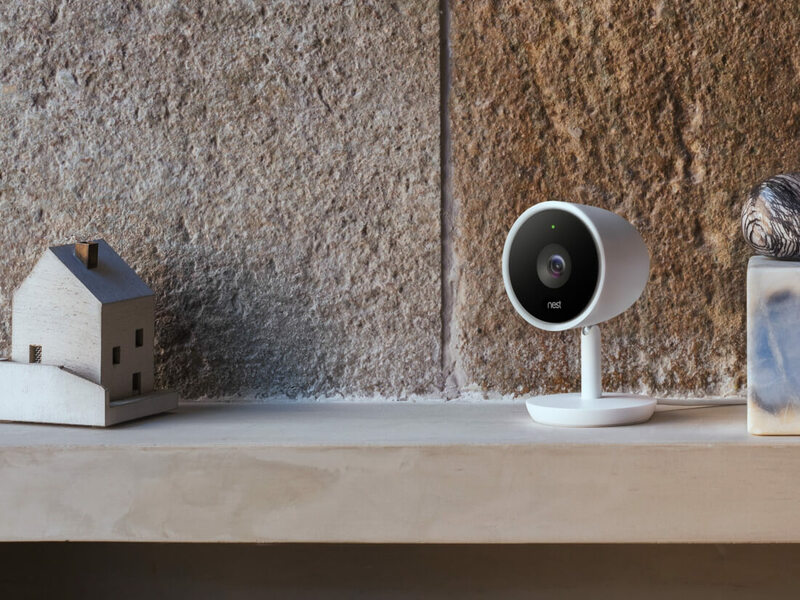 The biggest headlines the Google-owned company made came last year when CEO Tony Fadell stepped down and it unveiled the follow-up to the Nest Cam: The Nest Cam Outdoor. But now it is introducing another camera – the Nest Cam IQ – which is as expensive as it is advanced. The $299 (or $498 for a pair) “intelligent” indoor camera comes with an 8MP 4K HDR image sensor with a 130-degree field of view, but it only records in 1080p to save on storage and wireless data; all that advanced display tech is used for its 12x digital zoom feature. When it detects someone, it zooms in on them without losing image quality, recording both the 1080p close-up and the main feed, which sits in the corner. Featuring a six-core Qualcomm processor, the Nest Cam IQ can detect what’s moving in front of it. If the object is identified as a person rather than a pet or shadow, it will zoom and track them. The camera may be pretty expensive, but expect to pay even more if you want to get the most out of it. There’s no local recording - you can view pictures from the last three hours and you’ll still get alerts - but to see your recorded video requires a subscription to Nest Aware. $10 per month/$100 per year will get you ten days history, while $30 pm/$300 py lets you view the last 30 days of recorded video. The paid-for service also brings facial recognition tech to the Cam IQ that differentiates between friends/family and strangers, sending out alerts when it identifies the latter. The camera also boasts three speakers for picking up sounds like people talking (at which point it alerts users), a speaker that’s seven times more powerful than the one from the original Nest Cam, 940nm infrared LEDs for improved night vision, and end-to-end encryption. The Nest Cam IQ supports 802.11ac Wi-Fi and Bluetooth LE – no ethernet connectivity – and is powered using a USB Type-C port on the back and the power brick. The camera is certainly pricey, especially when you take into account the optional subscription, but the cutting-edge tech could make it worth the money in many people’s eyes. The Nest Cam IQ is available to pre-order now.